TEHRAN (Tasnim) – An Afghan Foreign Ministry spokesperson called on the US administration to exempt Iran’s southeastern port city of Chabahar from a new wave of economic sanctions against the Islamic Republic. 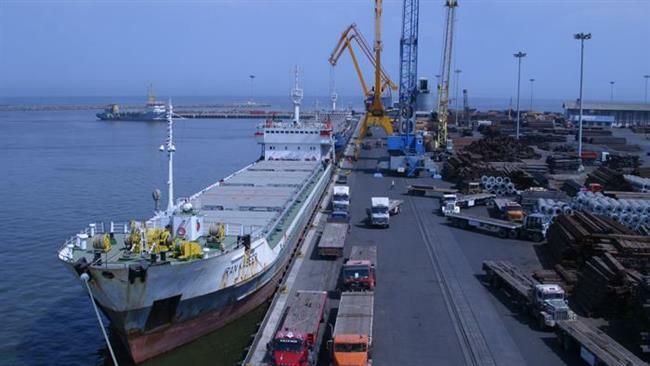 In comments on Saturday, Sebghatullah Ahmadi, head of the press department at Afghanistan’s Ministry of Foreign Affairs, said his country heavily relies on the Iranian port of Chabahar to improve its economy. Afghanistan asks the US for the exemption of Chabahar port from anti-Iran sanctions, he said, adding that Afghan sectors have been exempted from US punitive measures in the past, Aria News reported. Meanwhile, vice chairman of Afghanistan’s Chamber of Commerce and Industries, Khan Jan Alokozay, emphasized that Afghanistan should sign memoranda of understanding with Iran and India to enjoy the benefits of using the port of Chabahar. EXPLOITERS THINK THAT THEY COULD CREATE NEW BONANZA THAT WOULD BE FUNCTIONSL ONLY FOR THE WAR-IMPOSED COUNTRY OF AFGHANISTAN.